Saw Cut steps are ?7&3/3″ High and 18″ deep (Wide). 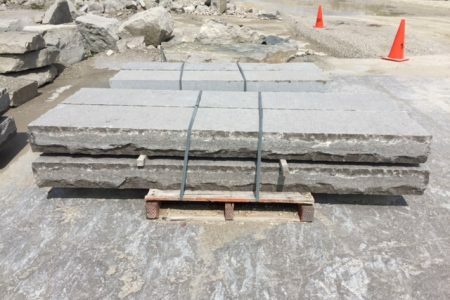 We stock Saw cut Steps in 3′ – 4′ – 5′ – and 6′ Custom lengths are available on request. Saw Cut Steps have a chiseled front face and are flame treated to provide a natural look.